Moisture activated fragrance. Stop litter odor. Keeps any litter first-day fresh longer. Safe to use around pets. It works differently to really eliminate odor. If you're like most cat owners, you've tried just about everything to stop litter odor. Now the search is over. 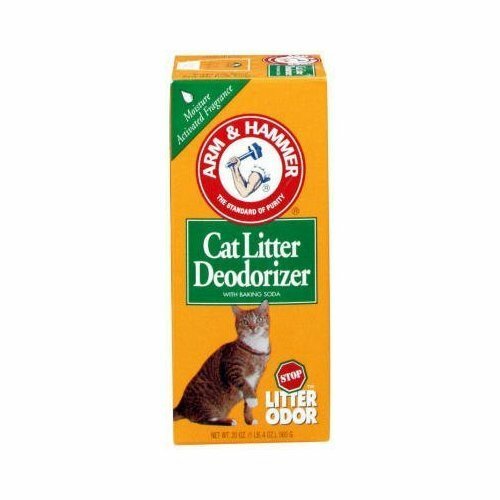 Arm & Hammer Cat Litter Deodorizer effectively eliminates odor, while keeping litter first-day fresh longer. The difference is amazing - see for yourself! Just sprinkle it into the pan and the odor-absorbing power of genuine Arm & Hammer Baking Soda goes right to work. Plus, moisture-activated fragrance is released every time your cat uses the box. Use it with any litter (clay or scoopable; scented or unscented) to eliminate odor. It even makes cleanup easier because it keeps litter from sticking to the pan. 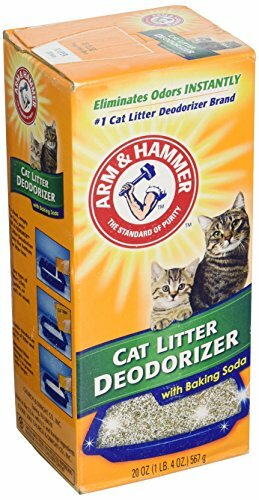 Arm & Hammer Cat Litter Deodorizer with Baking Soda. Helps keep the litter box odor free and stay first-day fresh longer. Absorbs unpleasant smells at the source. It helps lift away unwanted hairs when you vacuum. Moisture-activated scent refreshes litter every time your cat uses litter box. Helps prevent urine clumps from sticking to litter box. Litter box odor can spoil an otherwise clean, fresh home. Keep it under control with arm & hammer litter box products. Your family - and your cats - will thank you. Add an extra boost of freshness to your litter box with arm & hammer cat litter deodorizer in a convenient 30 ounce box. Baking soda destroys odors instantly in all types of litter so your box stays first-day fresh longer. Moisture activated scent refreshes litter every time your cat uses the box and innovative technology helps prevent clumps from sticking to the bottom of your box. Perfect for everyday use to quickly freshen up your cat litter box. Spray powerful odor neutralizers and ARM & HAMMERTM Baking Soda directly on litter for instant, clump-free odor control! Convenient enough for every day use, this powerful formula destroys odors instantly for first-day freshness. Leaves Your Litter Box Smelling First Day Fresh Again! 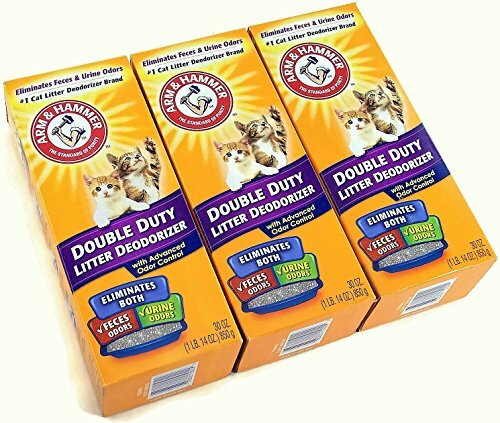 Brand: Church & Dwight Co., Inc.
Cat Litter Deodorizer with Baking Soda Arm & Hammer Cat Litter Deodorizer helps keep the litter box odor free and stay first-day fresh longer: Arm & Hammer Baking Soda eliminates odors on contact. Moisture-activated scent refreshes litter every time your cat uses litter box. Helps prevent urine clumps from sticking to litter box. Use it with any litter (clay, scoopable, or natural; scented or unscented) to add extra odor protection to litter box. 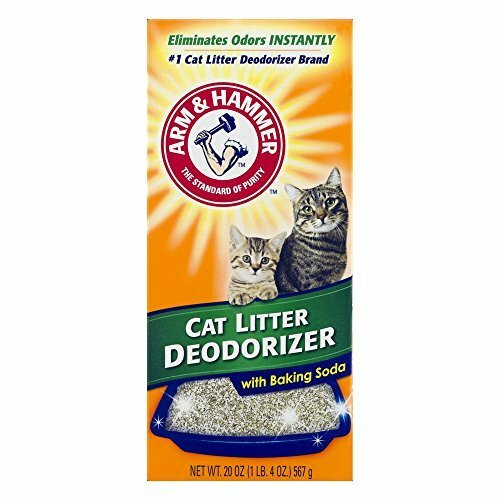 Arm & Hammer Cat Litter Deodorizer with Activated Baking Soda: - Maximum odor control - Eliminates odors instantly on contact - Arm & Hammer deodorizer provides an odor-free home - Veterinarian recommended - Convenient 20 ounce box - Ideal for everyday use Directions: Instructions: 1. 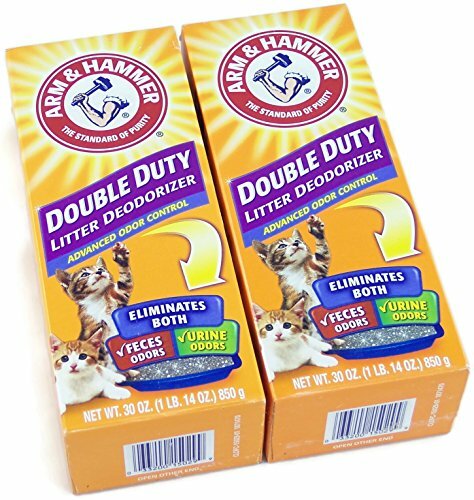 In a clean, empty litter box, pour Arm & Hammer cat litter deodorizer to cover the bottom of the litter box.2. Add any type of cat litter (clay, scoopable, or natural) as usual.3. 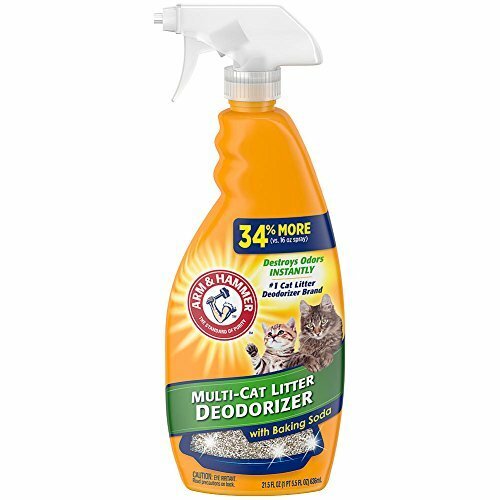 Sprinkle deodorizer on top of litter and mix in.4. Between litter changes, repeat step 3 to prevent odor longer. Copyright © Wholesalion.com 2019 - The Best Prices On Hammer Cat Litter Deodorizer Online.